For more than 50 years, DIA officers have met the full range of security challenges facing our great nation. Our intelligence professionals operate across the globe, and our work supports customers from the forward-deployed warfighter to the national policymaker. DIA is united in a common vision—to be the indispensable source of defense intelligence expertise—and for the past five decades we have done just that. Today, we are faced with a complexity of intelligence challenges from multiple threats that we cannot afford to misunderstand. 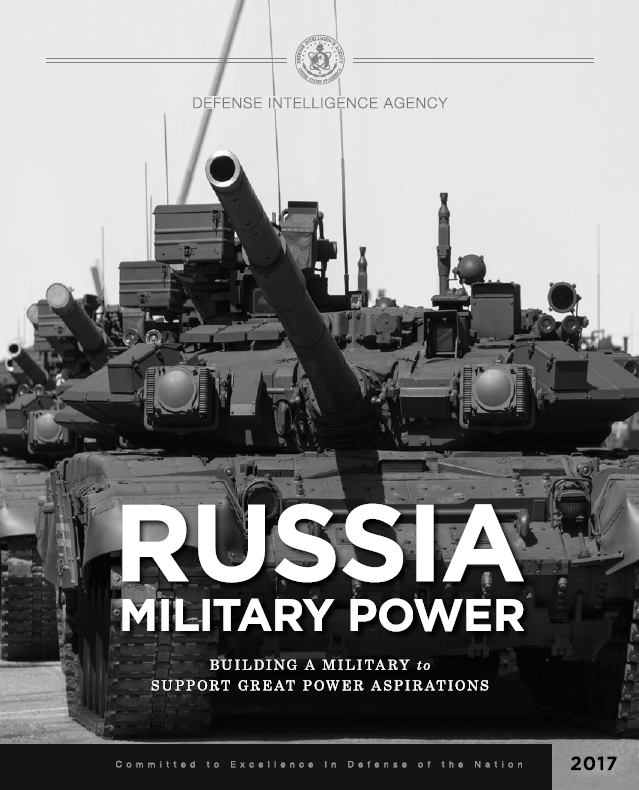 In the spirit of Soviet Military Power, DIA is proud to produce an unclassified defense intelligence overview of the military capabilities associated with the challenges we face—beginning with Russia. This product is intended to foster a dialogue between U.S. leaders, the national security community, partner nations, and the public about the challenges we face in the 21st century. The international order established after the Second World War and developed throughout the Cold War largely ensured widespread peace and stability even as it saw new conflicts—large and small—take place in different regions of the world. This post-war era, underwritten primarily by the strength of the United States, also gave rise to the greatest period of prosperity in history, witnessing countries rebuild from war and emerge from colonialism to become vibrant and valuable members of the international community. Following the collapse of the Soviet Union, the United States emerged as a world leader militarily, economically and diplomatically. Today, however, the United States faces an increasingly complex array of challenges to our national security. The resurgence of Russia on the world stage—seizing the Crimean Peninsula, destabilizing eastern Ukraine, intervening on behalf of Syrian President Bashar al-Assad, and shaping the information environment to suit its interests—poses a major challenge to the United States. Moscow will continue to aggressively pursue its foreign policy and security objectives by employing the full spectrum of the state’s capabilities. Its powerful military, coupled with the actual or perceived threat of intervention, allows its whole-of-government efforts to resonate widely. 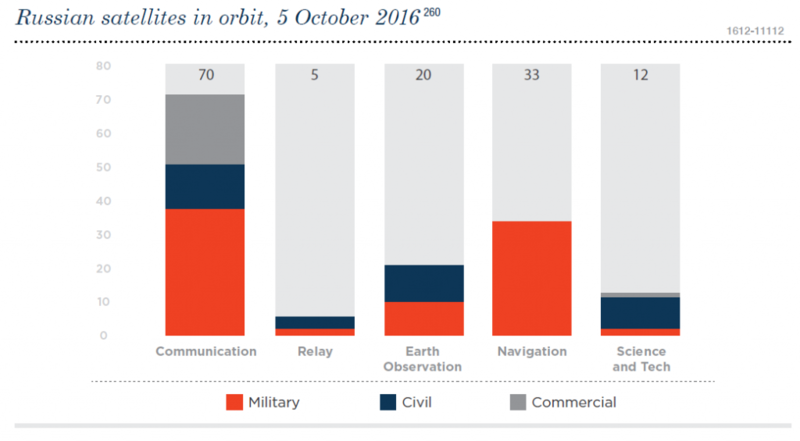 Russia continues to modernize its extensive nuclear forces and is developing long range precision-guided conventional weapons systems. It is manipulating the global information environment, employing tools of indirect action against countries on its periphery and using its military for power projection and expeditionary force deployments far outside its borders. Its ultimate deterrent is a robust nuclear force capable of conducting a massed nuclear strike on targets in the United States within minutes. Within the next decade, an even more confident and capable Russia could emerge. 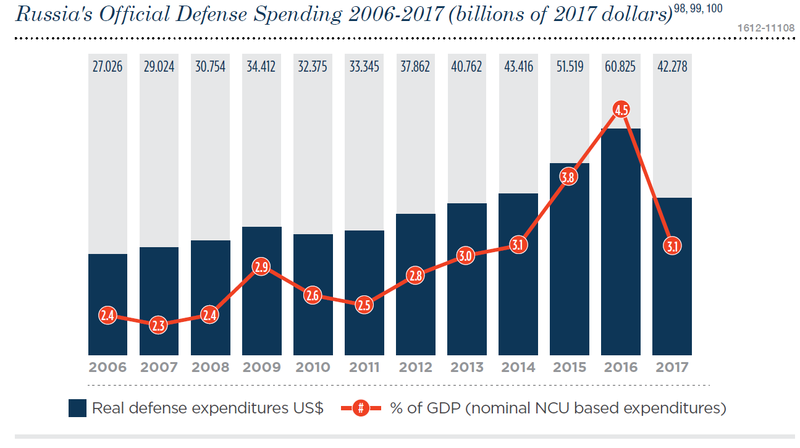 The United States needs to anticipate, rather than react, to Russian actions and pursue a greater awareness of Russian goals and capabilities to prevent potential conflicts. Our policymakers and commanders must have a complete understanding of Russia’s military capabilities, especially as U.S. and Russian forces may increasingly encounter each other around the globe. DIA will continue to provide our leaders decision-space, ensuring they have the time and information necessary to protect our nation. The wrong decisions—or the right ones made too late—could have dire consequences.